Two years in the testing - "A new glove experience". The ultimate in feel, grip, breathability, and durability. Attractive digital pattern increases grip and wear. Schooling, Show Jumping, Hacking, Barrel Racing, Carriage Driving, Race Riding or Driving. Unlined, long wearing and machine washable. 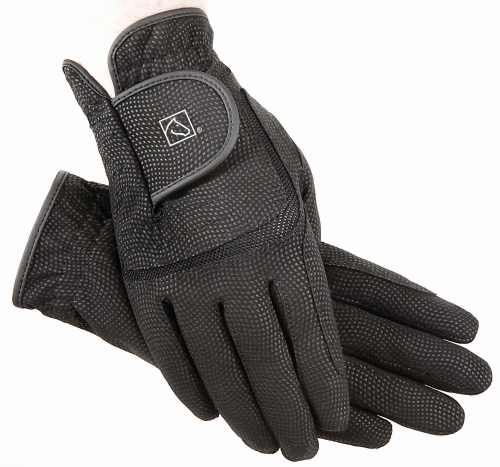 The lightest glove, provides a close fit and extra grip. Elasticized back for a cool comfortable fit. Velcro closure for a snug fit. Wears like iron! Washes like a rag!